Marco obtained his PhD in December 2016 He is actually postdoc at Stanford. Rafah obtained her PhD in December 2016. Stefano was a postdoc at LCM during 4 years. He is working for Intel in Munich. Marc obtained his PhD in August 2015. He is working for Pix4D. Andrei obtained his PhD in July 2015. He is currently working at Google in Zurich. Karol worked as an engineer at LCM for two years. He left in March 2015 to go back to Poland, his home country. Adrian obtained his PhD in December 2014. He has got a position with PulseOn SA. Mine obtained her PhD in September 2014 and got a postdoc position at the National University of Singapore in D. Tan’s group. 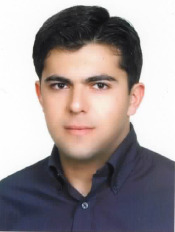 Vahid obtained his PhD in February 2014. He has got a position with Alcatel Lucent in Munich. Alla obtained her PhD in March 2014. Marc obtained his PhD in February 2014. He is now scientist at Los Alamos National Laboratory (NM). Nicholas was a postdoc at LTHC. He was an Adjunct Professor at the University of Columbia (NY) and is currently an Assistant Professor at UT Dallas. Mohammad obtained his PhD in February 2013. He got a postdoc position at the Maynooth University in Ireland. Amin obtained his PhD in October 2012 for which he received the Patrick Denantes Memorial Award. He stayed with LTHC as a postdoc until February 2013 before joining ETHZ in Zurich. He is now Assistant Professor at Yale School of Engineering and Applied Science. Alberto worked as an Engineer for LCM during four years. Vinodh obtained his PhD in September 2012. He is now a Postdoc at IBM Research in Zurich. Emmanuel was a postdoc until August 2012. He is now Associate Professor at Princeton. Yvonne was Prof. Telatar’s assistant, she left in December 2011. Dénia was a postdoc at LCM. Eren left LTHI in December 2011 after obtaining his PhD for which he received the 2012 EPFL Doctorate Award. He did a postdoc at UCSD and Stanford before joining Intel. Christine left LTHC in June 2011 after obtaining her PhD. Vojislav left LCM in September 2010 after obtaining his PhD. Soheil left LICOS in September 2010 after obtaining his PhD. He was a postdoc at Princeton University before joining the University of Minnesota as an Assitant Professor. Stéphane worked as an engineer at LCM, he left in July 2010. Marius left in June 2010 after obtaining his PhD. Dominique left in March 2010 after obtaining his PhD. Ayfer obtained her PhD in 2009 for which she received the 2010 EPFL Doctorate Award. She was a postdoc in Prof. Fragouli’s group. Since 2011 she is Assistant Professor at Stanford University. Etienne left LICOS in September 2009 after obtaining his PhD. Jérémie was Phd Assistant at LTHC. He passed away on Tuesday April 20th, 2010 after a two-year battle with cancer. Satish left LTHC in August 2009 after obtaining his PhD. He got a postdoc position at Stanford University in Palo Alto USA. After working for Goldman Sachs he is currently working for D. E. Shaw. Shan Yuan had a postdoc position at LTHI from August 2007 till June 2009. Dinkar left LTHI in June 2009 after obtaining his PhD. He got a postdoc position at the Hamilton Institute in Ireland. Robert left LTHI in June 2009 after obtaining his PhD. He got a position at the Inspection Générale de la Sécurité Sociale (IGSS) in Luxembourg. Iryna was a Postdoc with LTHC from from January 2007 till December 2008. She got a position with the group ETIS at ENSEA in Paris. Vish left LTHC in August 2008 after obtaining his PhD. He got a postdoc position at the KTH School of Electrical Engineering in Sweden. Sanket left LICOS in June 2008 after obtaining his PhD. He got a position at Morgan Stanley in London. Peter left LCM in June 2008 after obtaining his PhD. He got a position with the Investment Technology Group in Boston, USA. Nicolae obtained his PhD in 2003 and stayed with LCM as a Postdoc for a year. From March 2005 until December 2006 he was a Postdoctoral Fellow at Stanford University. He returned to LCM as a Postdoc from February 2007 to March 2008 before joining CSEM at Neuchâtel. Stéphane left in November 2007 after obtaining his PhD. Sibi left in July 2007 after obtaining his PhD. He was a Research Fellow at the University of Melbourne, Australia until April 2009. He is now an Assistant Professor at the Electrical Engineering Department of the Indian Institute of Technology, Mumbai. Chao was a Postdoc with LICOS from August 2005 until September 2007. He is now with AT&T Labs, New Jersey, USA. Jasper left LICOS in April 2007 to continue his PhD in the Netherlands. Philippe was an engineer with LCM from November 2003 until February 2007. Tarik left LCM in March 2007 after obtaining his PhD. He got a position st Icera Inc in Bristol, UK. Henry was a Postdoc with LTHC from January 2005 till January 2006. He got a position as an Assistant Professor in the Department of Electrical and Computer Engineering, Texas A&M University. He is now an Associate Professor ad Duke University. John was our System Manager from July 2004 until June 2006 when he left to take a position in Japan. Abdel left LTHC in June 2006 after obtaining his PhD. He is currently working for McKinsey, Geneva. Cyril left LTHC in June 2006 after obtaining his PhD. He was a Postdoc at Bell Labs, NJ and Stanford University, CA before working for Qualcomm Flarion Technologies in New Jersey. He is currently working for Nokia Research in Paris. Aslan left LTHI in August 2005 after obtaining his PhD. Between 2005 and 2008 he was a postdoc in the Research Laboratory of Electronics at MIT. He is now an Assistant Professor with the Digital Communications Group at TELECOM ParisTech. Rajesh left LCM in July 2005 after obtaining his PhD. He got a position with Beceem Communications, Bangalore, India. Daniela was a postdoc with LCM from May 2002 till December 2004. She is now an Associate Professor in the Department of Electrical and Computer Engineering at the University of Illinois at Chicago. Changyan left LTHC in September 2004 after obtaining her PhD. Albert, a Eurecom student, left LTHC in July 2004 after obtaining his PhD. He was a Postdoc at the University of Adelaide, Australia before joining the University of Cambridge, UK. He is currently a Research Professor at the Universitat Pempeu Fabra. Prasenjit left LCM in April 2004 after obtaining his PhD. Denice came to us from CERN and was our System Manager from May 2001 till March 2004 when she returned to her native Canada. Igal was a Post-Doc with LTHI from October 2001 until September 2003. He is now an Associate Professor in the Dept of Electrical Engineering at Technion – Israel Institute of Technology.